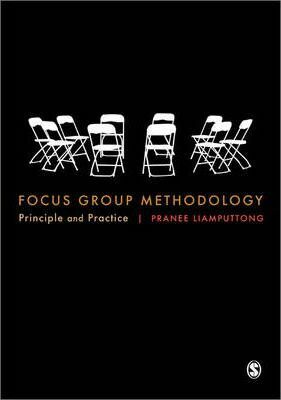 Focus Group Methodology is an introductory text which leads readers through the entire process of designing a focus group study, from conducting interviews and analyzing data to presenting the findings. Liamputtong presents clear, practical advice in simple terms which will be appropriate for undergraduate and postgraduate students who are undertaking research, making this an ideal starter text for anyone new to focus group research. Like her previous book, Researching the Vulnerable, Liamputtong's latest work pays close attention to research ethics and will also be of great interest to researchers who are working with different social groups - such as older people, children and ethnic groups - and anybody who is engaging in cross-cultural research. Illustrated with case studies and examples throughout this is a perfect introduction to focus group methods for students and new researchers alike.